Every year, in my elementary school, a man came and awed us with photos of his latest adventures. Sitting cross legged, my feet falling painfully asleep, I always forgot I was in a crowed gymnasium and instead I was lost in worlds of adventure. His trip to the Galapagos was the presentation I remember most, partly because he kept saying blue-footed booby to a crowd of 6 to 12 year olds, and partly because it showcased a far-off land full of creatures almost impossible to believe. His presentation lived with me; inspiring me to study animals, give talks to kids about my own adventures, and to dream of my own trip to the Galapagos. So, when Nia and I found ourselves closer than we ever had in our lives to the Galapagos, we decided to go. The first step was to find a place for our bikes and to do laundry (there will never be enough fresh air on a plane for our clothes after a few weeks of biking). That was easy enough. For cyclists in Ecuador, the best place to rest, clean up, find other cyclists, and store bikes for side trips is at the Casa de Ciclistas in Tumbaco. Santiago and his family have been opening their doors to cyclists for many years, and now they almost never have a day without cyclists. 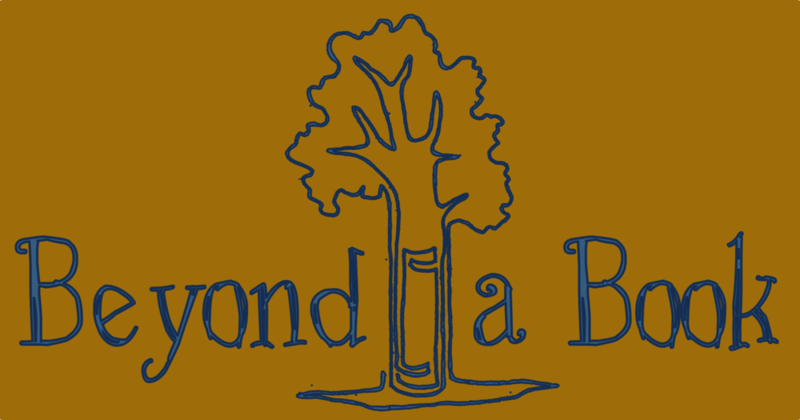 They are incredibly friendly and welcoming, and with family dinners and a safe, quiet spot to relax it is easy to see why cyclists can’t resist turning rest days into rest weeks. With a safe spot for our bikes, we could move to step two: meeting up with Nia’s family. Santiago, the hero behind the Casa de Ciclistas in Tumbaco, and Maria del Mar, another cycle tourist from Argentina. For sometime now we had been planning a break to visit and travel with Nia’s family. They too had dreams of visiting the Galapagos and so our timing was perfect. We met Nia’s parents, Jan and Rog, and her brother, Rhod, near the airport and the next day we were landing in the Galapagos. Rog, Nia, Jan and Rhod - a few days into the trip. Traveling around the Galapagos is not like bike touring. The draw of bike touring is just sort of going for it, finding lonely stretches of time and hardly planning at all. It is possible to find a lonely stretch of beach while traveling in the Galapagos, but except for the bigger islands with towns, the only way to see the majority of the islands is with a guide and tour. Mostly I am glad for these rules, because they have kept the islands clean and healthy. It was worth finding a small tour company to take us around the islands, rather than seeing the islands trampled to death. Bartholome Island is only accessible by boat and uninhabited. Our tour boat was smaller than most. It held 12 tourists and 5 crew members. Of the tourists, we accounted for five, three were from Spain, two from the Netherlands, one other from the United States, and one from Australia. We ate three meals a day together with the rocking of the boat, snorkeled twice a day, and did day trips to the islands to see animals impossible to see anywhere else in the world. Our boat was cosy, at this table we ate, read and learned about the places we would visit. Victor, our trusty cheif, was able to cook for 17 in a rather small kitchen. Nia jumps from our boat, the King of the Sea. More than half of the animals in the Galapagos are endemic, or found only in the Galapagos. This means that to see a marine iguana or a Galapagos penguin one must go to the Galapagos. The reason for his high level of endemism is thanks to the history of the islands. 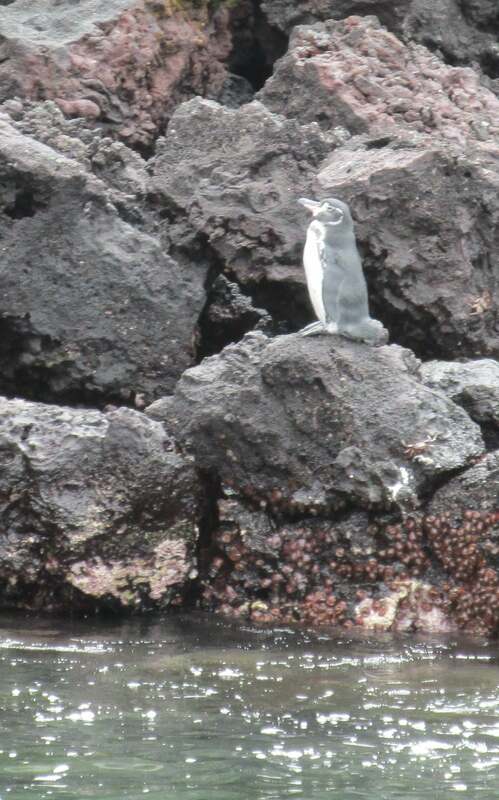 The Galapagos penguin is only a foot or so tall, and is endemic to the Galapagos. Active volcanoes 600km from mainland Ecuador first appeared over the waves of the ocean ten million years ago. Having been formed (and continuing to be formed) by volcanic eruptions, these islands were barren wastelands (think more barren than walmart parking lots). For them to be as they are now, animals had to float there on tree trunks, fly there, float there in the wind, or swim there lost in storms. Once there, the animals, finding them selves in new habitats,either survived or died. The animals that survived the new conditions had the genes needed to cope and were able to pass these successful genes to their offspring. Thousands of generations later, these animals have continued to transform and evolve into new species. And while evolution didn’t begin with the Galapagos, it was the islands and the strange diversity that gave people like Charles Darwin a window to see this inspiring phenomenon. 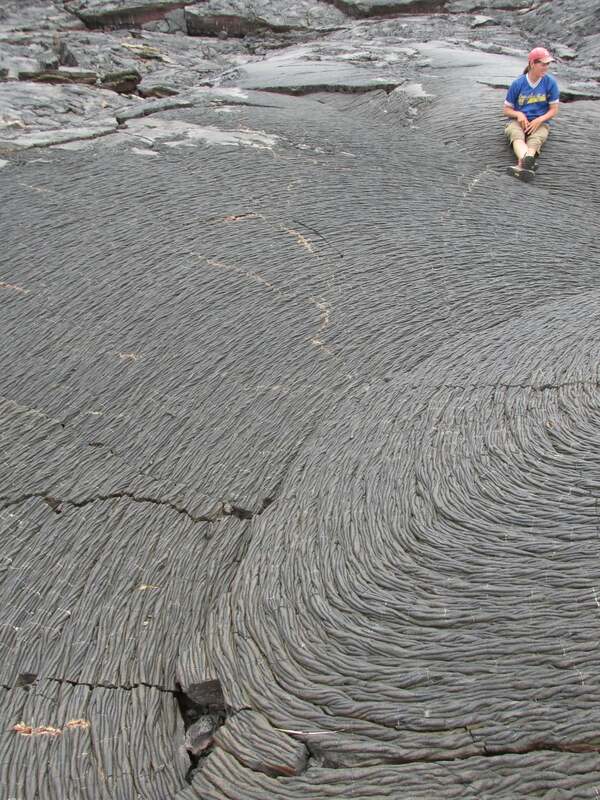 A barren lava field from an eruption some 120 years ago. At one point every island of the Galápagos looked like this. In the Galapagos, anyone can see into the window to see evolution at work. 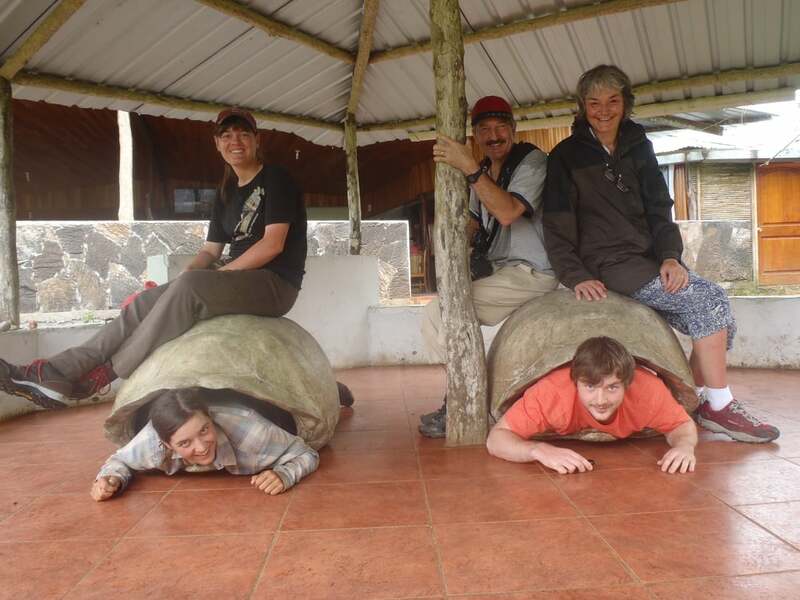 We traveled into the highlands to look for the giant land tortoises on the island of Santa Cruz. ‘Look for’ might be the wrong word. You don’t exactly have to look for them. In the highlands where the biggest males live and females come to find mates, they lay scattered like marbles in green grasses, dirty ponds, and spirally trees. These tortoises are unlike the tortoises of other islands and leave little doubt to the power of evolution. I hide behind the largest tortoise I have ever seen in my entire life. Being this big, it was very easy to find them. On other islands the tortoises look very different. On the drier islands where lush, green grass can not grow, tortoises have evolved long necks and saddleback shells to allow them to feed on the higher growing cactuses. For this to have happened, a tortoise with a slightly different shell due to some gene mutation was able to eat a bit more. Because they could eat more they were healthier and could produce more offspring, many of which had the curved shell gene. This pattern continued until the tortoises from the different islands, with different stressors and needs, evolved into different species. This tortoise evolved a saddleback to allow its long neck to reach delicious cactii. It doesn’t stop with the tortoises. We see this pattern in the finches and the mockingbirds. Curiously it was the mockingbirds and tortoises that gave Charles Darwin the idea of evolution, not the finches. These finches are named after Darwin, but the mockingbirds were what inspired his idea of evolution. We see natural selection shine when we see the flowers of the Galapagos. Only species of plants with yellow flowers survived in the Galapagos because there is only one pollinator: a bee that only selects yellow flowers. Perhaps red and purple flowering plants washed up on the shores of the Galapagos, but only the yellow survived to pass on its genes. Not to get too geeky, but that is incredible. What else is incredible are the marine iguanas. At one point an iguana from mainland South America drifted on some vegetation through the seas to the Galapagos. Miraculously, it not only survived the sea voyage but could also survive the harsh reality of its new home. Over time two species of iguana were born: the land iguana and the marine iguana. A marine iguana basking in the sun after an icy swim. The marine iguanas stretch out on sunny beaches like ship wreck survivors still recovering from the stormy seas. From a beautiful red to deep black, they wait with the sun, snorting salt collected during their last dive to forage on sea algae. They have evolved to eat only sea algae found in the cold waters of the sea. As a cold blooded animal they match the temperature of their environment, and so they can afford to graze only ten minutes a day before the cold waters become deadly and they are forced to return to the shore and warm up in the sun. On our trip to the Galapagos we got to see iguanas swimming in the sea, warming up on the shores, walking down quiet beaches, and snorting salt as they rest on the rocky shores(something any cyclist that has snot rocketed can appreciate). While Darwin thought of them as ‘imps of darkness’ I find them 100% cute and inspiring. Iguanas bask almost everywhere we look. I couldn't tell if these guys were soakin up the sun or dancing the congo. Also on the rocky shores we found lots of birds: shore birds, pelicans, magnificent frigate birds, and blue-footed boobies. Shore birds dance with the tide, running like inexhaustible figurine toys until a bit of sand entices them to stop and feed. The pelicans cruise the skies and with out much grace drop into the sea for fish. The successful ones bob in the waves as they gulp down their meal while noddy birds sit on their heads hoping for a taste. Magnificent frigate birds sail like kites in the sky looking for loot to steal, or sit offshore in small trees. There males display gaudy red sacks, females sit with growing chicks, and those same chicks sit almost embarrassed in their awkward plumage. And then there are the blue-footed boobies, my favorite birds of the trip. Here a female with a young chick ignores the flirting male. Noddy birds hope for a taste of the fish a pelican has just caught and is trying to swallow. The blue-footed boobies hunt mainly in groups. They circle the sky and then plunge into the sea like bullets. They are built like a bullet, their long beaks tapering into their bodies, with wings that tuck in like a fighter jet as they pierce the salty seas. We watch them assault the seas from the boat then visit their roosting sites on one of the islands. Because blue-footed boobies can breed all year round, the roosting sites are a great place to find just about every stage of the game. We spot a male and female pair courting with a spectacular dance. A combination of head tilting, wing flapping, and foot lifting that I will surely borrow for my next leap on the dance floor (look out!). We also see a nest with eggs, and both paired siblings and only-children begging for food in puffy white and black plumage. Of course, the single children could have once had a brother or a sister, but many times the stronger sibling will kill the weaker sibling to gain more resources and survive (but I bet ALL the ones we saw will grow and live happy, healthy lives…right?). The courtship dance involves lots of head bobbing and foot lifting. But atlas I have only talked about our time on land and this is only half of the story when you visit islands surrounded by waters forgiving enough to allow us to swim among a rainbow of life! From land, we can only just begin to see the life underwater. We went snorkeling twice a day, for as long as we could stand, which was usually about forty five minutes to an hour. Here I felt the most free to explore at my own pace, to dive down and investigate a curious shadow or to follow of shoal of surgeonfish feeding laxedazedly. While swimming we saw white-tipped sharks, sea lions, sea turtles, penguins, sting rays, an octopus, an eel, and dozens of incredibly painted fish. Snorkeling allowed us to see a world normally hidden from view. Swimming with sea lions is a wonderful experience. The first time I saw one, I of course thought it was a shark and my heart dropped. But as she danced around me, curious and agile, I saw a creature playing to play and all I could do was smile. So often we forget animals too are not always about surviving, some times they are here for a bit of fun as well. This sea lion turns flips while I doggy paddle and watch. 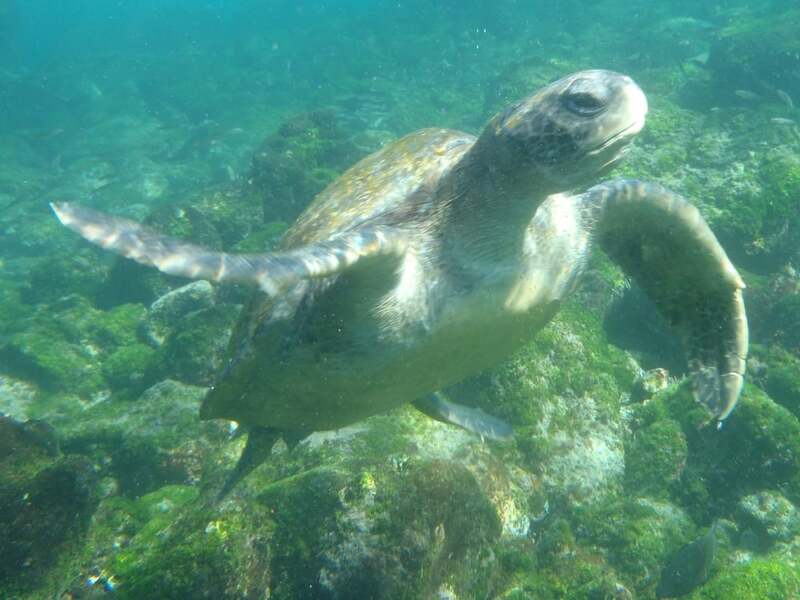 The sea turtles are a bit slower than the sea lions, but allow us to watch them graze or float along side them as they investigate this rock or that. The sea turtles lumber on, beautiful and peaceful. The penguins cruise by faster than it takes for us to realize what they are, and only when we were really lucky did they swim laps checking us out and talking in chirps to us. But most of the time we are swimming with colorful fish. 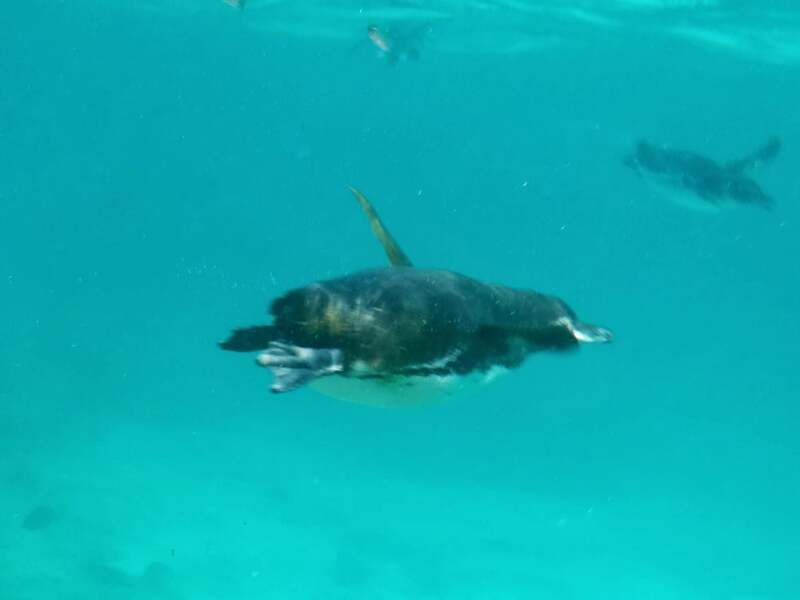 These penguins flew by us, showing off their grace and character under the water. I find a few flounders that blow my mind (how can something look that much like the ground it lives on? 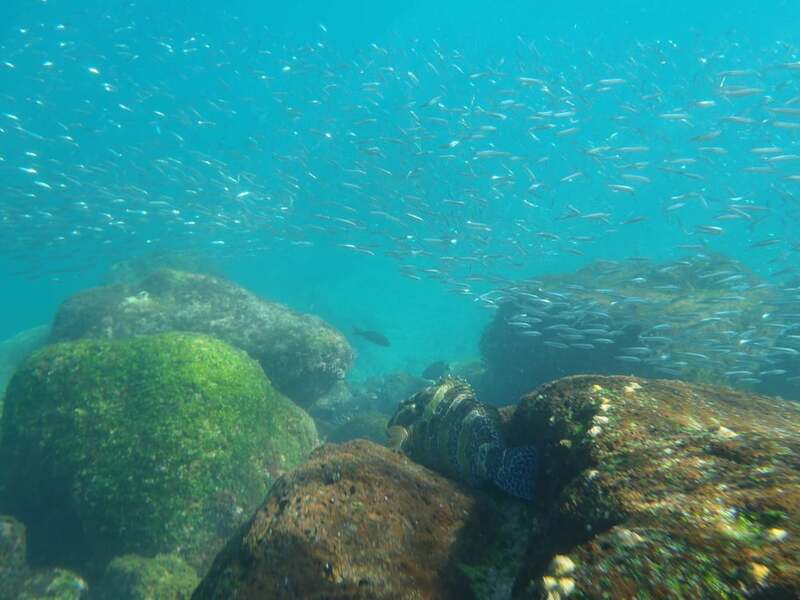 ), puffer fish mingle with wrasses and damselfish, gobies and chubs decorate the rocks they sit on, shoals of grey and blue dance and wave as one. And then we get too cold and escape to the boat where hot tea always awaits us. 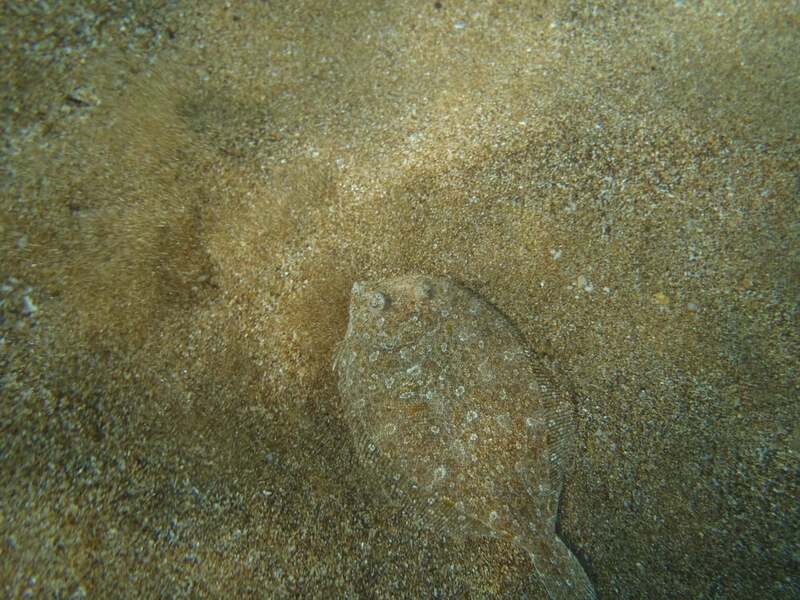 Flounders blend in almost perfectly with the sandy ocean floor. I could go on and on and on about all the animals we got to see. About the landscapes, some lush while others nothing more that colorful swirls of lava seemingly frozen in time. I could talk about the rocking of the boat, sometimes strong enough to send us all to our beds to lie down and wait it out, while other times nothing more than a calming lull. I could talk about how fragile the Galapagos are and how threats continue to beat down on them, from overfishing, invasive species, irresponsible tourism, and growing human populations. I could talk about how much I would love to return and hike off-trail exploring nearly human free areas while studying the strange, seemingly miraculous life. Or I could send you a link to our photos, show you photos, just like the man did when I was ten, of a special place, and you too can begin (or continue) to dream until you get a chance to go as well.